Since the very beginnings of our existence we have filled our tribal or religious rituals with music; rituals to bond, to connect spiritually or just to let loose. I have no idea why we are so drawn to the120-126 BPM four-to-the-floor. All I know is that House is the soundtrack to our modern day biggest ritual and I love being part of that. My aim is to create an energy on the dancefloor and, for me, its not about working strictly within the limit of a genre. Its about sharing the same taste and this exceeds genres. I found my inspiration for The Gift when I stumbled upon a video of a preacher on the internet, preaching that music is a gift of God and that, when we listen to music, we open up to the message of the lyrics. 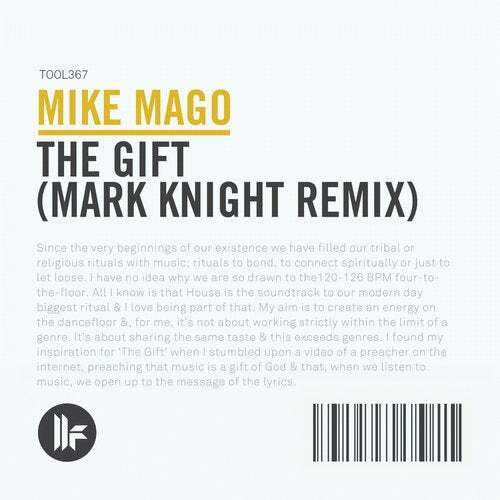 Simply sensational, Mark Knight presents his take on Mike Magos astounding track, The Gift.